Croatia Full of Life is an online and offline contest in the form of an application whose main purpose was to promote Croatia as a tourist destination during EURO 2016 championship in France. 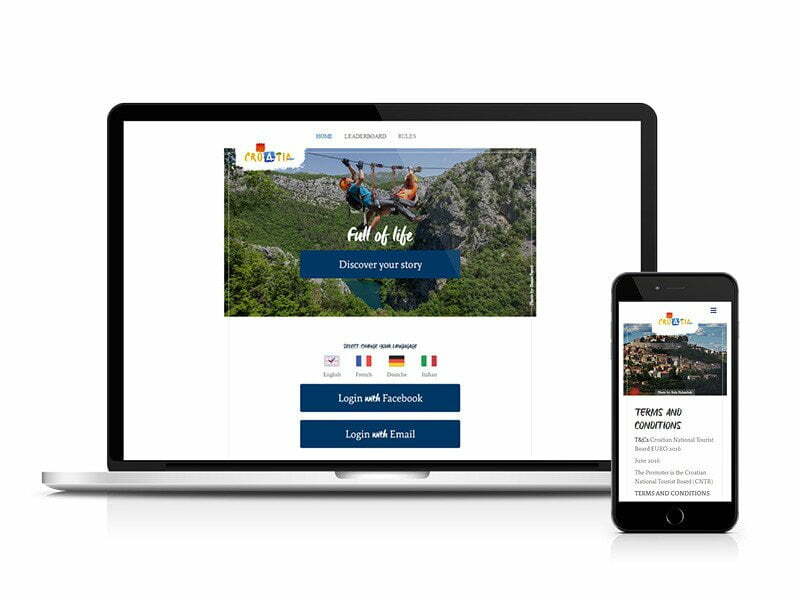 Our development team created a responsive Facebook application for our client Croatian Tourist Board which was available on all mobile devices. 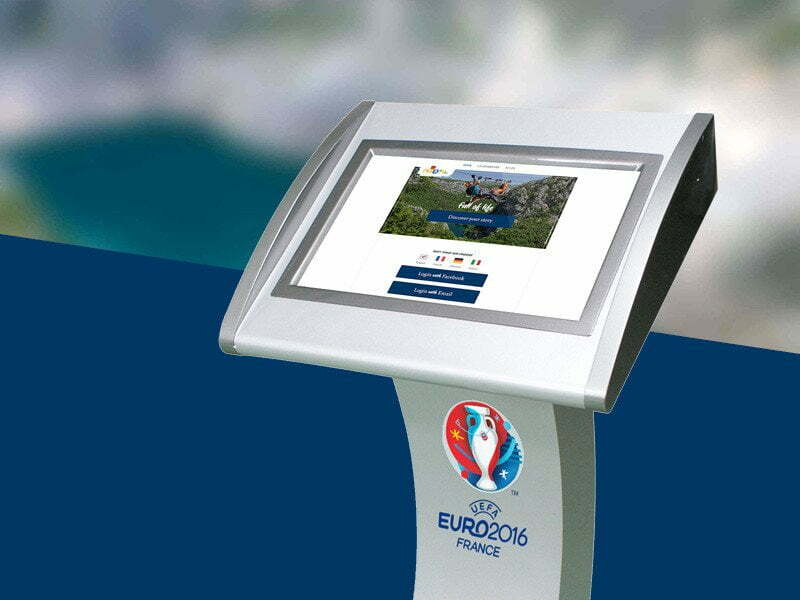 The application was shown on a display panel in a fan tent during EURO 2016 championship in France. We especially paid attention to design. We wanted to accomplish an emotional and intuitive experience for each user through a simple and clean form. That positively affected on the gaming experience. At the start of the game, users could choose among four languages: English, French, German and Italian. Why four languages? We wanted to fully adjust the content through languages for a better user experience. The content of the application was designed to be both educational and fun. Because of it, the questions in the game were inspired by Croatian history and geography, as well as its pop culture. This combination proved itself as a very useful way of storytelling. Users were satisfied as they got interactive gaming experience along with useful knowledge. Also, as an additional motivation for engagement, our client included some valuable prizes on a daily and weekly basis. We built a chart of most successful players on the same schedule. 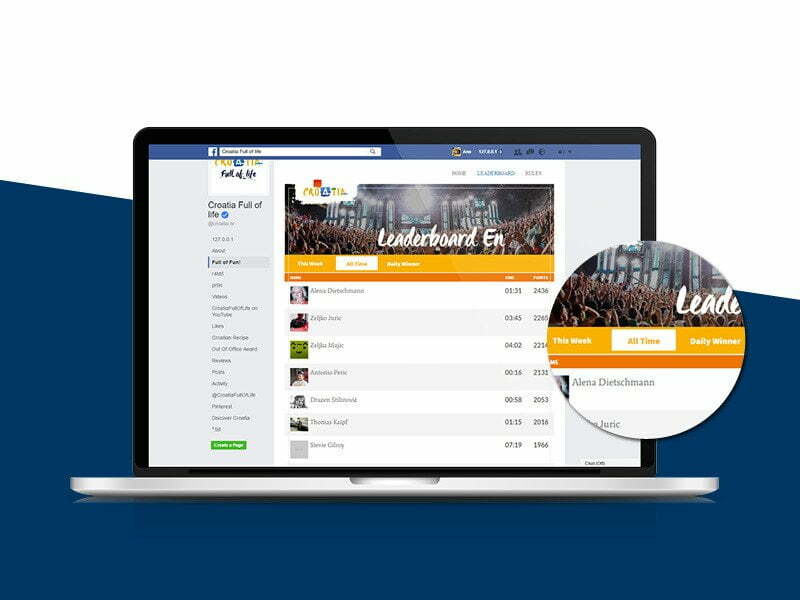 The challenge in this project was the connection of the application with the display panel which broadcasted live in a fan tent in France. Another big challenge was to motivate players to visit the Croatian Tourist Board’s Facebook page and engage them in playing not only in the tent but other locations, as well. We contacted and collaborated with Locastic for successful connection of the app with the display panel. We are very proud that we were a part of Croatian football story in France and that we, once again, contributed to putting in a good word for Croatian Tourist Board and Croatia as a great destination.